I looooove coming home to a box at my doorstep. LOVE it. I’d honestly rather purchase online instead of in store just so I can come home to a little present waiting for me. And that’s why I love FabFitFun! 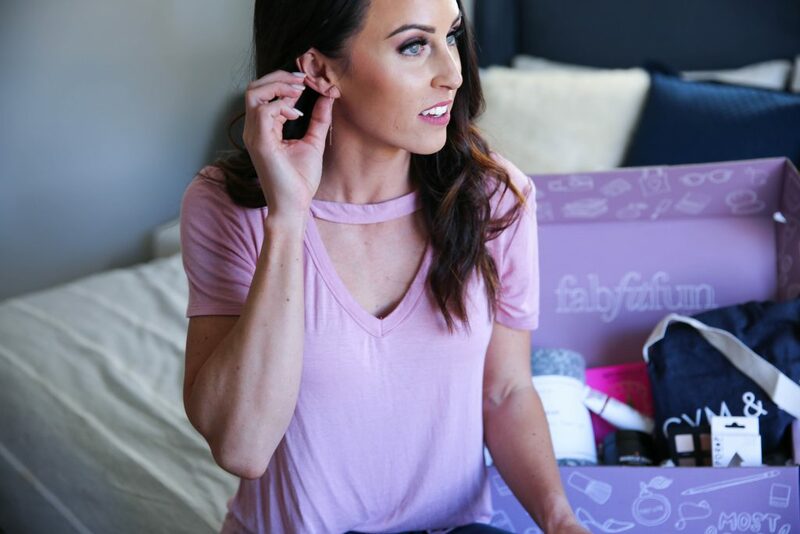 I’ve talked about FabFitFun before on the blog as one of my favorite subscription boxes when it came to gifts for the holiday season, but FabFitFun is even better when it comes to giving yourself an amazing gift every season! FabFitFun is a subscription box with full-size fashion, beauty, fitness and lifestyle products. And as you know, I LOVE all of those things! Now if they could just add chocolate truffles into each box…then I would be set for life. The box comes out once each season and it’s filled with SO many different products. It retails for $49.99 but always has a value over $200 and is jam packed with so many different products that you may have never tried otherwise because of their original price. But with FabFitFun, you can try all these products at major discount! 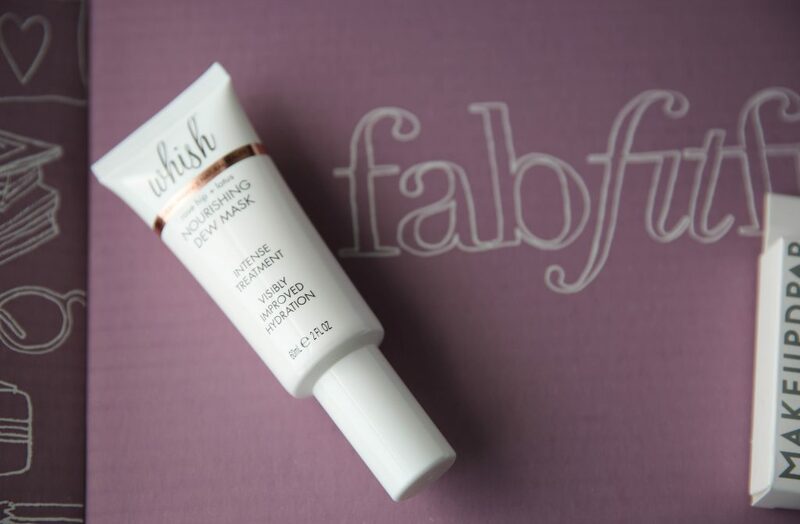 Some of the products that have been featured in previous FabFitFun boxes include Kate Somerville, Dr. Brandt, and Juice Beauty for skincare. Tarte, Moroccanoil, CHI, Oscar Blandi, Butter London, and Zoya for beauty. And fashion items from Michael Stars, Trina Turke, and Milly. And so far, I’ve used every single item in my box! The box smelled amazing as soon as I opened it and that was all from the Spongelle Body Buffer so I unwrapped it and immediately started using it in the shower. Not only does it buff away dry skin (which has been so helpful for getting prepped and ready for spray tans before trips) but it also hydrates the skin and leaves your body smelling amazing after a shower! 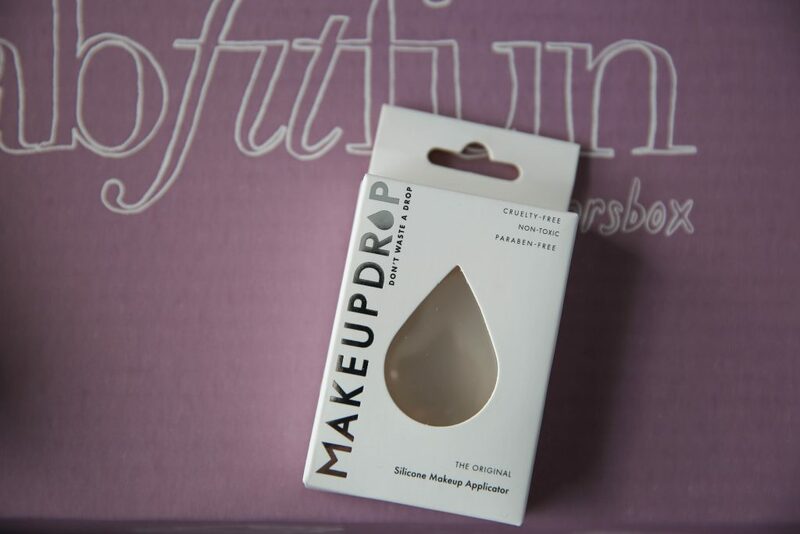 I’ve also loved the MakeupDrop Silicone Applicator and the Whish Nourishing Dew Mask. It’s been SO incredibly dry here in Colorado lately and my skin has been really feeling it. But with the hydrating mask and using the silicone makeup applicator, I’ve been able to keep my skin looking dewy and refreshed every day! But I think two of my favorites in the box include the fashion pieces. I LOVE the Summer & Rose Threader Earrings and the Mer-Sea & Co. Scarf is incredibly warm and cozy! I’ve been wearing both weekly and I almost always get questions about both when I’m wearing them! And right now you can get $10 off your first FabFitFun when you use the code OMG10. That means you can get this box filled with a value over $200 all for just $39.99! Just be sure to sign up for your box now before this season sells out! I can promise you, you’re going to be pleasantly surprised with all the amazing items that FabFitFun packs into one small box! I am officially a subscription box believer and can’t wait to see what I get in my next box! This post is brought to you by FabFitFun but all opinions are my own and completely honest! This compensation helps with expenses to keep this blog up and running! Thank you for all your support! Does the box each season contain the same products for each person that purchases one or do the products differ? The main items are usually the same but there might be variations in color (the scarf for instance came in three colors.) And then usually there are two or three items that you’ll get one of two completely different variations. If you pay for a year in advance you get to pick which variations you want. Just a heads up about that scarf, I love mine it’s so soft and cozy! However, I took it on a red eye flight me as a cozy blanket and it shed so badly… Little white fuzzies everywhere :( Not sure if you can de-fuzz it in the dryer or something, but just wanted to give you a heads up! ughhhh that’s always so annoying. the brie we must pay to be cozy, i guess haha! !